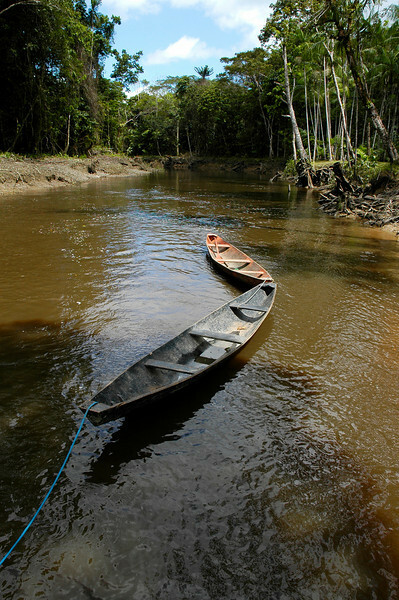 A wonderfully harmonious community thrives along the Taiassui, a small tributary of the Amazon River. Blue ropes tether boats in the Taiassui. No roads, so this is the major form of transportation.